In a showbiz career that’s spanned almost twenty years, Chris Parson’s venture into the world of voiceover acting began with the encouragement of an old college friend — plus a fateful (and innocuous-looking) Craigslist posting mentioning “voice talent”. Some 13 years after those humble beginnings, Mr. Parson has excelled as one of the most diverse and skilled voice actors in the business. He started with bit parts on “Family Guy” and “Cleveland Show”, before starring as the titular character on Comedy Central’s short-lived, time capsule animated series, “Lil Bush: Resident of The United States”. Chris also provided creature voice effects for films like “The Spiderwick Chronicles”, “The Unborn”, and “Cirque Du Freak”. The USC film graduate was subsequently cast in 7 different roles for the Oscar-winning (and landmark) animated film “Rango”, the first feature-length animated film for Industrial Light and Magic. The same year, Mr. Parson began voicing promos for Universal Television subsidiary The Syfy Channel, after its initial rebranding. Subsequent to Syfy, Chris has voiced promos for History Channel, TNT, and CMT. He has also voiced commercials for Jack In The Box and Kenmore. 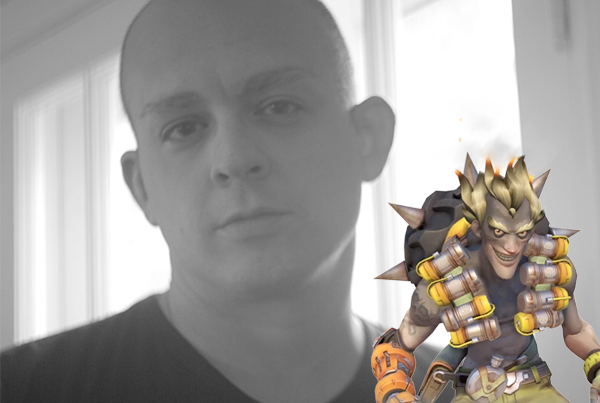 In the realm of video games, Chris recently essayed the role of “Gladio” for Square’s “Final Fantasy XV”, as well as the role of “Junkrat” for Blizzard’s breakout hit “Overwatch”. His voice could also be found in the North American TV spots for “How To Be A Latin Lover”, as well as a George Takei Pizza Hut Super Bowl commercial, entitled “Oh My”.